Presentation, Q&A. Tickets are now available below and on our TICKETS page ($250 pesos). Tickets will be available in advance at Tienda Tesoros in the Biblioteca for $250 pesos and at the door for $300 pesos. This event is scheduled at 5:00 PM at La Casona Event Center. Informal reception to follow, with complimentary botanas and beverages available for purchase. The concept of the “American Dream” has been a key part of the cultural conversation in the U.S. since at least World War II—the white collar job, the house with a picket fence, keeping up with the Joneses—all have come to signify the attainment of success in America. But what of those who leave the United States in order to attain that dream? This talk will explore the history of Americans who have found their “American Dream” in Mexico, from the late nineteenth century to the present. This presentation will examine the historic limitations of the American Dream and consider the twenty-first century reality in the age of Trump and AMLO. 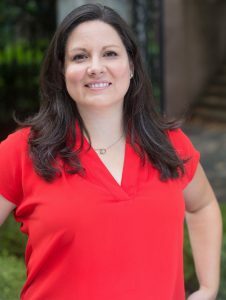 Lisa Pinley Covert is an associate professor of history at the College of Charleston in South Carolina and is currently a Fulbright Global Scholar. She earned a Ph.D. from Yale University in Latin American history with an emphasis on twentieth-century Mexico. Her book, San Miguel de Allende: Mexicans, Foreigners, and the Making of a World Heritage Site, based on more than ten years of research, examines how long-time residents and newcomers shaped San Miguel’s economic possibilities and cultural dynamics from the 1930s to the 1980s, and how these efforts paved the way for the 2008 UNESCO World Heritage designation. On-line pre-sale has ended. Tickets are available at the door for 300 pesos. This entry was posted in Past Events by Andre Baltimore. Bookmark the permalink. Copyright © 2019 i3 San Miguel de Allende All Rights Reserved.